PsychologyIB.com is easily the best online resource for teaching and learning the IB Psychology course. 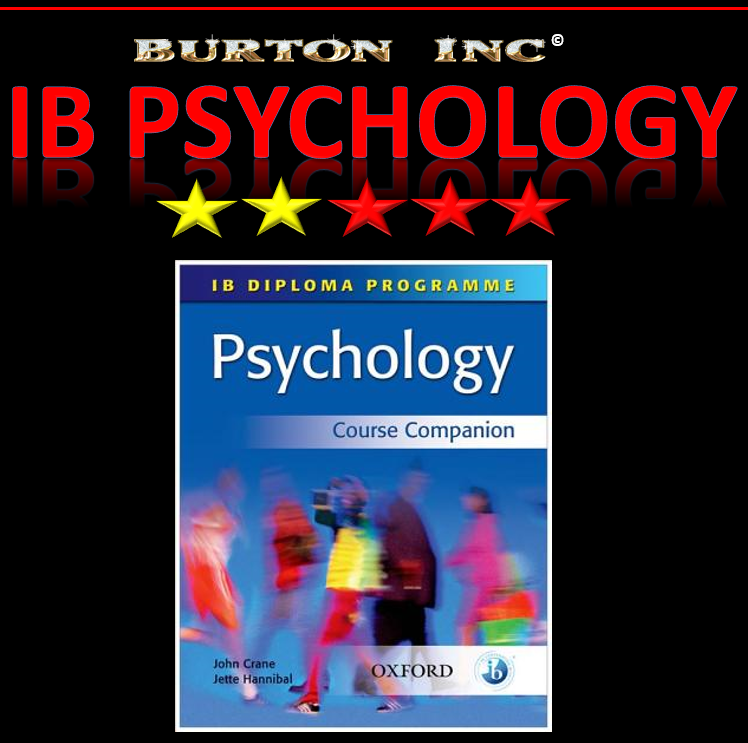 However, there are many other resources specifically developed for the IB Diploma Psychology course. Here, all of these resources are reviewed. 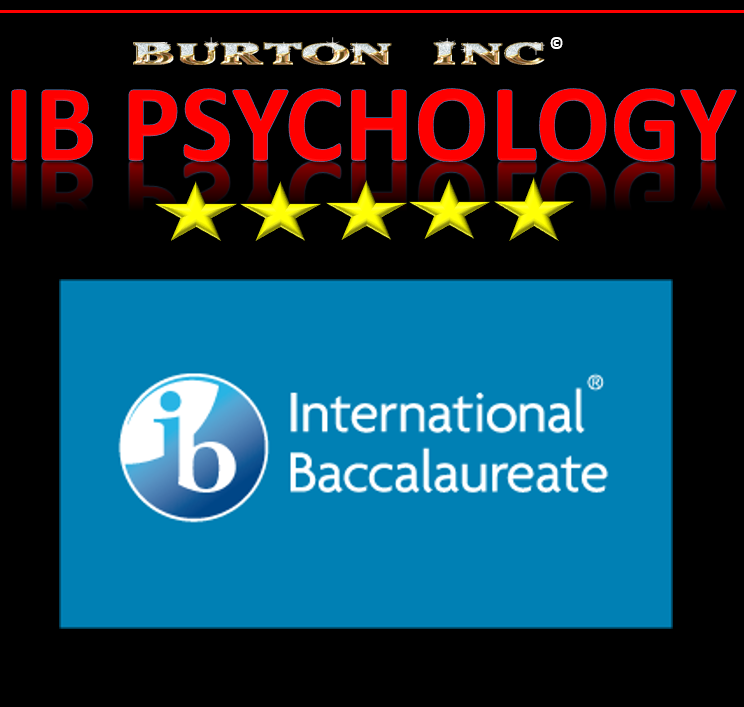 As the head of the Psychology department at a world leading independent IB school, Derek Burton has had the opportunity to purchase and review all of the IB Psychology products on the market today. 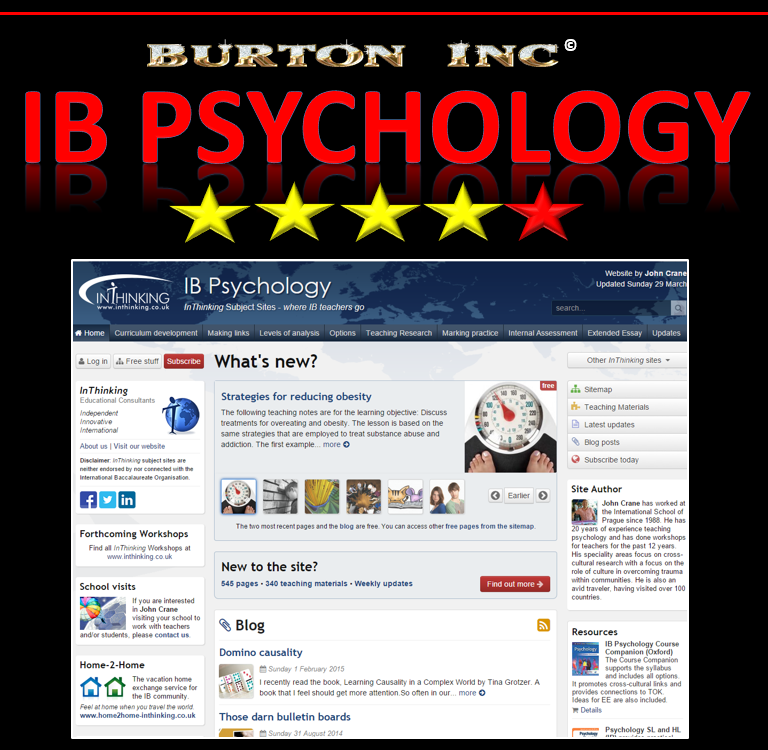 Here, he reviews all of the IB Psychology teaching and learning resources available. 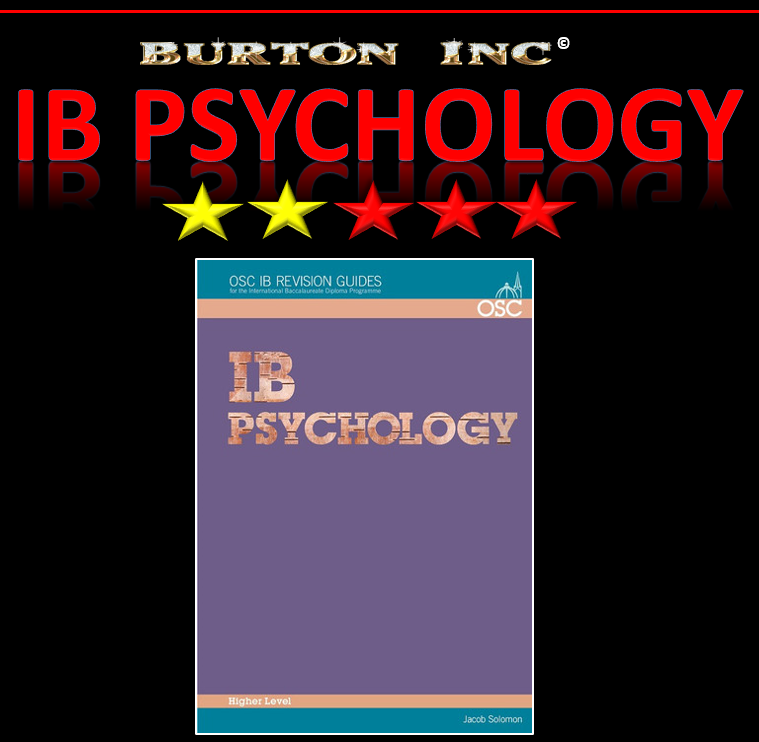 The IB Psychology textbooks, study guides, websites and other learning technologies reviewed here are a comprehensive selection of all the resources specifically produced for the course. 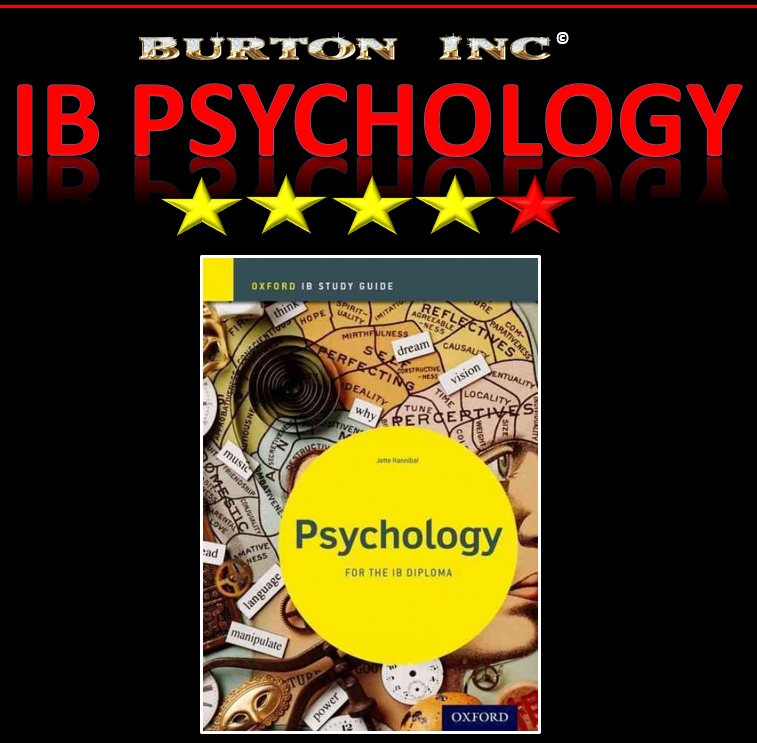 The reviews here are the personal opinion of the reviewer, however, these resources have been discussed and triangulated with his network of influential IB Psychology teaching practitioners, including IB Psychology examiners. Easily the best IB Psychology revision guide on the market. It provides such clear, concise notes that I know of many teachers who use it as a base of information in the preparation of their classroom teaching and learning materials. The book is broken down into all relevant sections across all three examination papers with good information on each topic within each section. The psychological research is usually well presented. 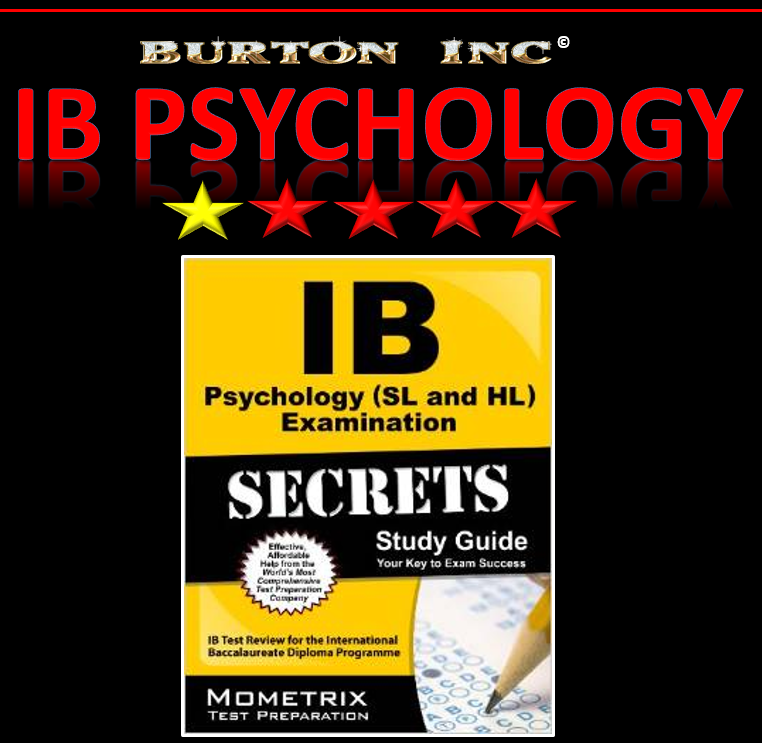 However, it does not provide enough substantial information to allow the student to achieve a 7 in the IB Psychology exams. Students will definite need more information for the essay questions. 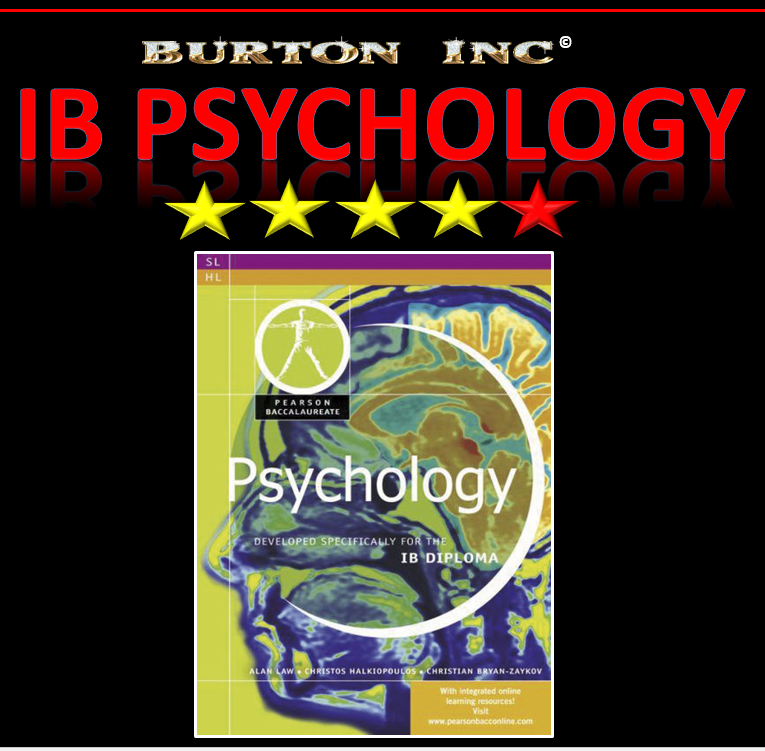 This is the best IB Psychology textbook, not that there is much choice. It provides relevant information in an interesting way. Some of the key studies are outlined in good depth and time is spent relating the outcomes to the key learning areas of the course. All sections are covered, however, the core topics are done much better than the options topics, likely because there are so many options that need to be covered. There is some attempt being made to engage students with questions and provide some classroom help to the teacher. But not enough. Available as a digital book, with separate student text supplement. There is something odd about the range of IB Diploma Course Companions I have had the misfortune of using in Economics, Business and Psychology. They are all poor, whether this is because they rely heavily on the IBO endorsement or because they are always first on the market, rushed out to meet syllabus revisions. Even legends in the IB Psychology field, Crane and Hannibal couldn't reverse this trend. Insipid and uninspiring. While I don't particularly like much of the content contained in the IB Psychology TripleA Learning baccpacks, I do like that they can be easily shared with students across school's e-learning platforms (Moodle, Blackboard, etc). All of my students have this loaded onto their laptops and I occasionally have them make use of it. This sort of resource should have many more learning activities and finding relevant activities should be easier. Ticks some e-learning boxes, but really should tick more. You will need lots of time to sort the good from the bad. 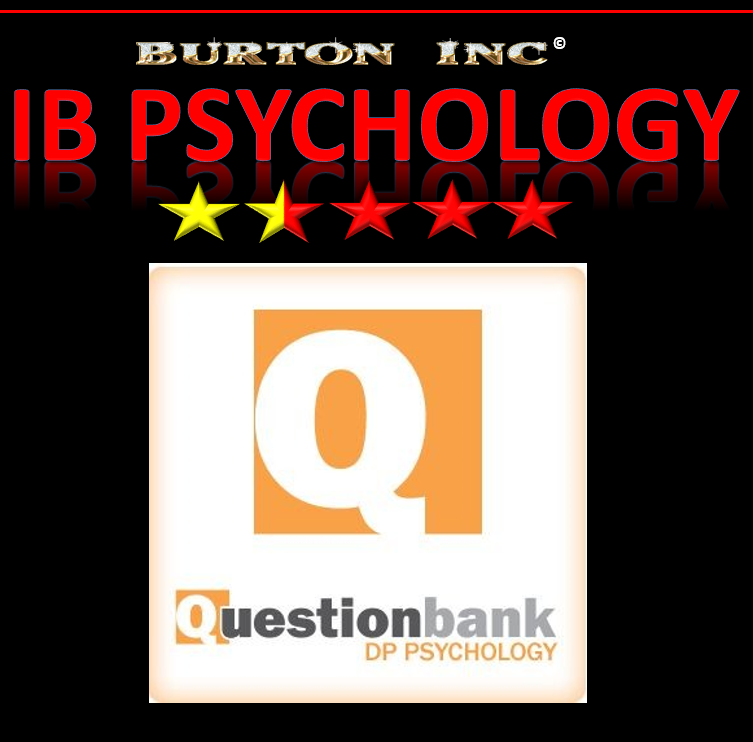 This is the go-to place for teachers who want ideas or advice on the teaching of IB Psychology their classrooms. Crane is an IB Psychology examiner and it tells on this site. Lots (too much!) of examples of his students' IB Psychology work and his marking of it. 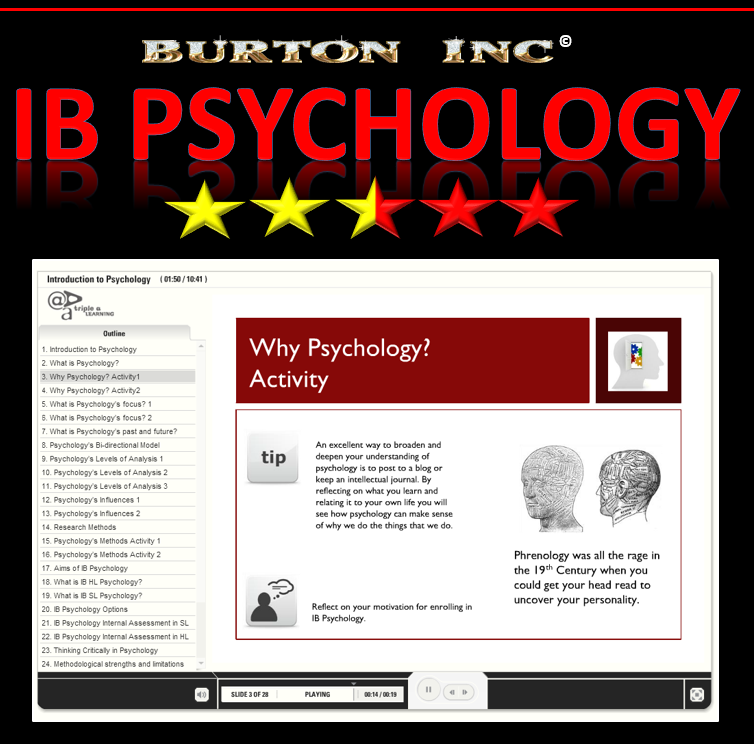 The site is light on actual teaching resources that can be used immediately in the classroom, however, many Psychology Departments subscribe to this resource. It comes with a 7 day money back guarantee so not much to lose (apart from added administrative hassle). I like this but my student's don't. I would have one copy in the classroom or library. I referred to it a little in my first year of teaching, but more so in later years. As a new IB Psychology teacher, much of this will go over your head. In a Catch 22 type situation, the students who don't need this (i.e., high achieving students) are the ones who would get the most effective use out of it. 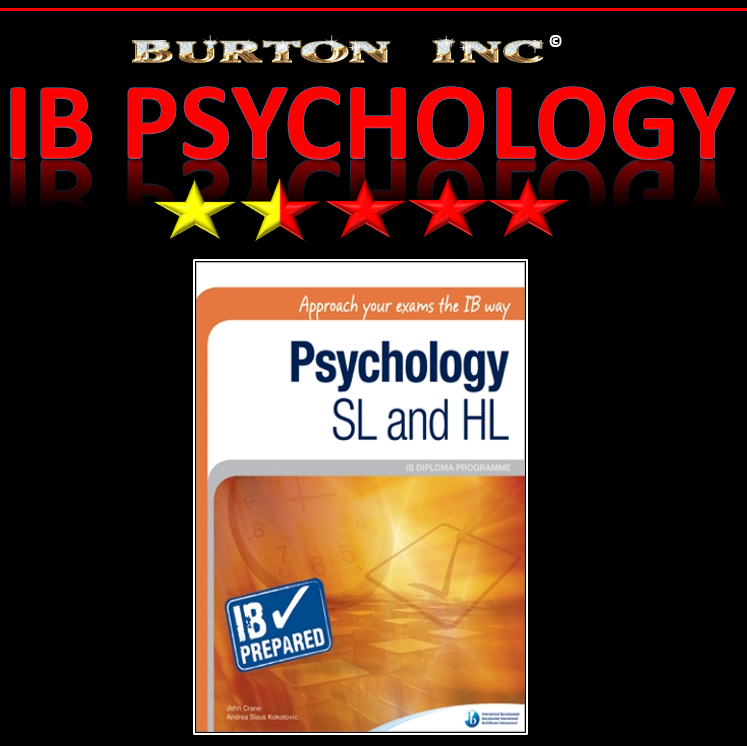 The IB Psychology students who do need this, will find it pitched at too high of a level. Having a good IB Psychology teacher should negate the need for this resource. The IBO run teacher professional development workshops are pure gold, whether you are an experienced teacher or a new kid on the block. All IB Psychology teachers should attend one of these courses regularly (at least every few years). 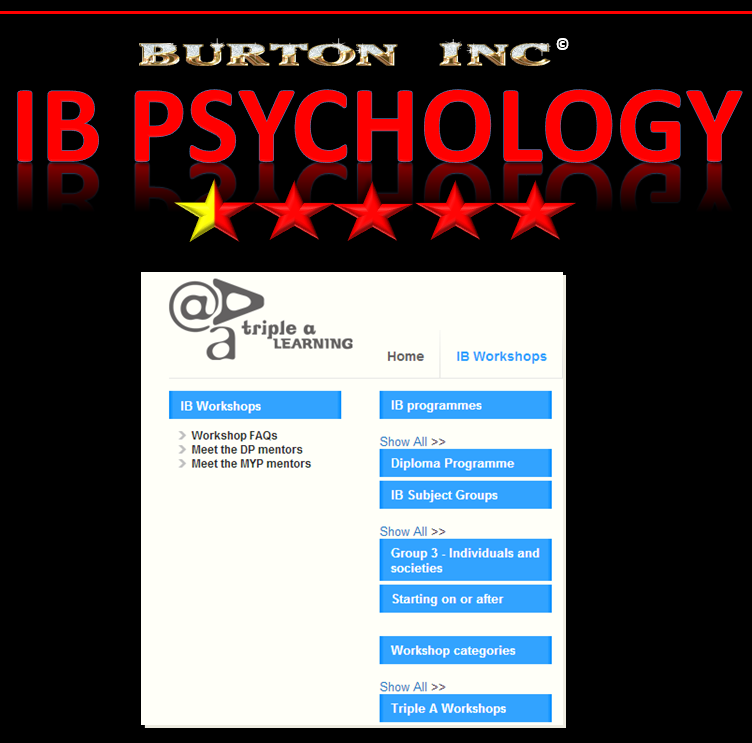 Even if your workshop leader is ineffectual (they're mostly really good), you will have a great chance to build your network of IB Psychology teachers, share teaching resources and ideas. Category One courses are probably pitched too low, sign up for a Category Two or a Three course even if you are new. I have nothing good to say about these online workshops. I know of no one else who has anything good to say about these workshops. 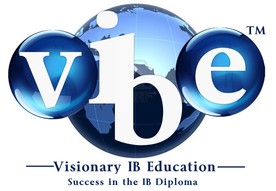 Your IB Diploma Coordinator may try to force one on you, because it will tick the boxes and show that he or she is supporting new teachers and providing professional development opportunities. This is the most ineffectual and infuriating PD I have ever had the misfortune of engaging in (not that it was even remotely engaging). Push back. Be firm. It will waste your time. The IB Psychology examinations are a funny beast. It doesn't take long to figure out that the examination questions are the learning outcomes straight from the IB syllabus guide. As such, there is probably no easier subject to set exam questions for. Also, given the tremendous leeway we have as IB Psychology teachers to tailor our classroom programmes by selecting areas of study (e.g., eating disorders vs anxiety and memory vs decision-making) and the relevant research you think is applicable, you really want answers that are tailored to what you teach. You won't find this here. Paper 3 questions don't have stimulus material. If you buy an IB Psychology revision guide for your exams, be very prepared for the research studies to not match those you have spent two years learning. Also, be prepared for completely different approaches to topics. Perhaps your IB Psychology teacher chose to focus on decision-making and not memory, affective disorders and not eating disorders, and so on and such forth. If you have been neglecting your IB Psychology course for your two years with us and you are in the market for an IB Psychology revision guide, buy the Hannibal study guide. Not much here. Useful if you don't have a set of notes or computer access to the IB Psychology learning outcomes (i.e., the examination questions). Nothing here. 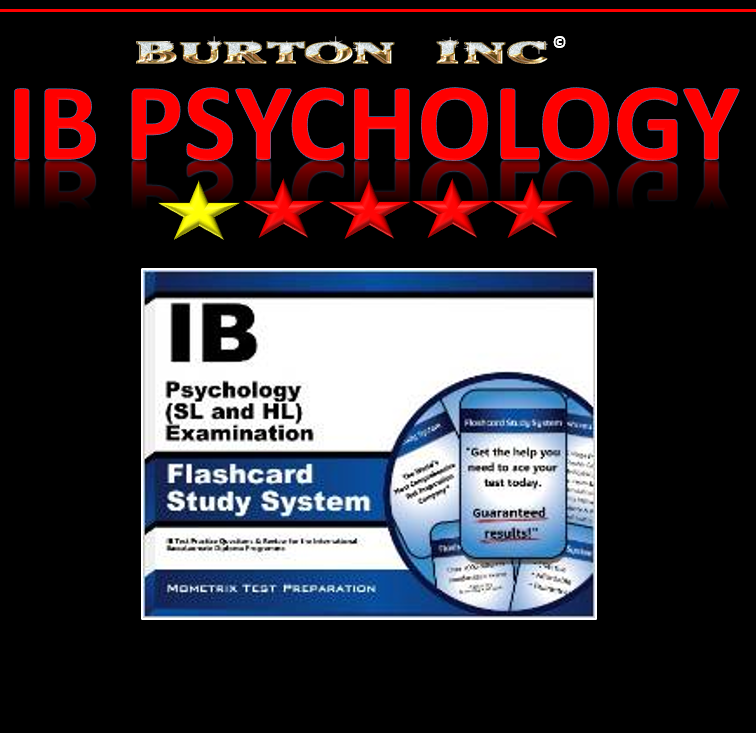 There are plenty of flashcards online if you are looking for free IB Psychoogy flashcards that have very little chance of aligning with what you have learned in class.